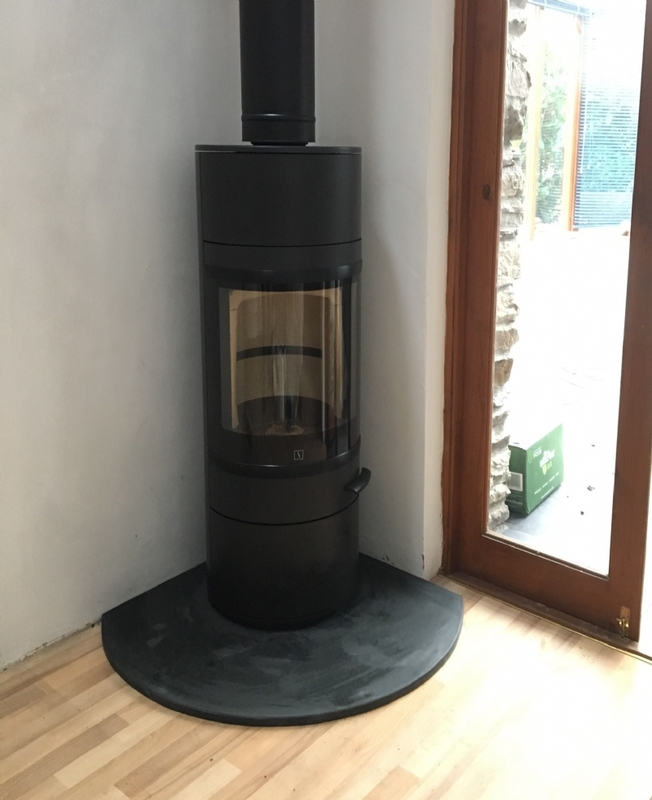 Scan 83 installed in a corner wood burning stove installation from Kernow Fires. 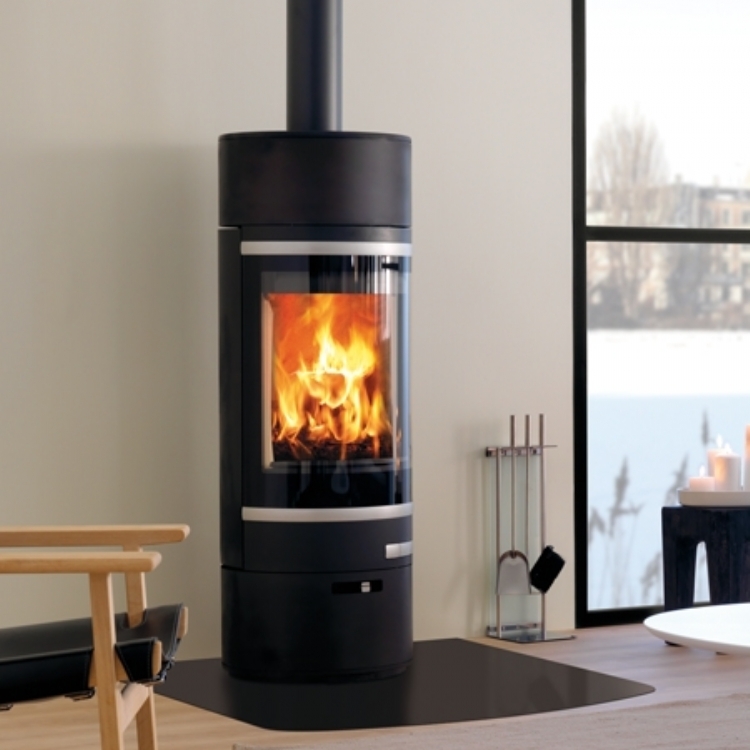 The Scan 83 is a beautiful tall, modern cylindrical stove. 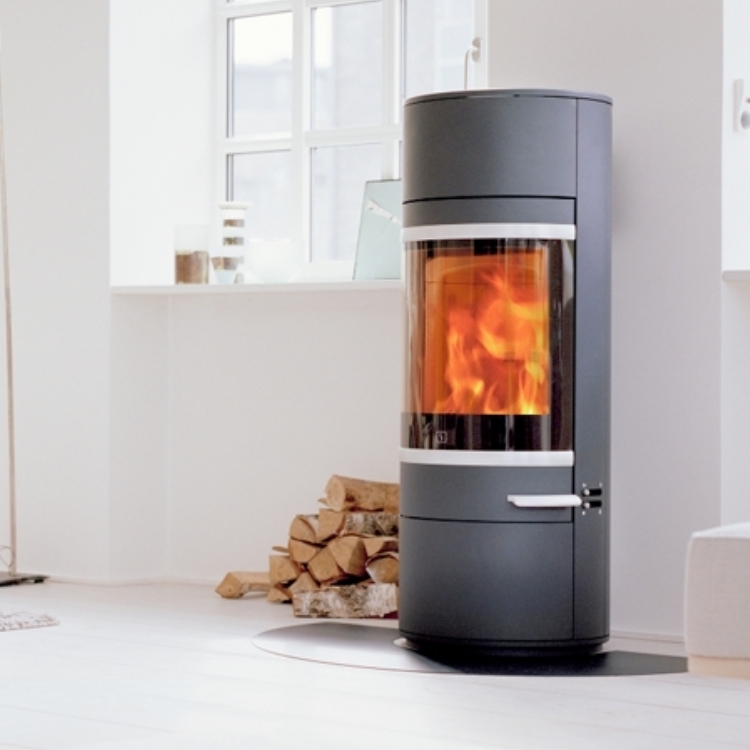 Its curved glass makes it perfect for a corner situation. 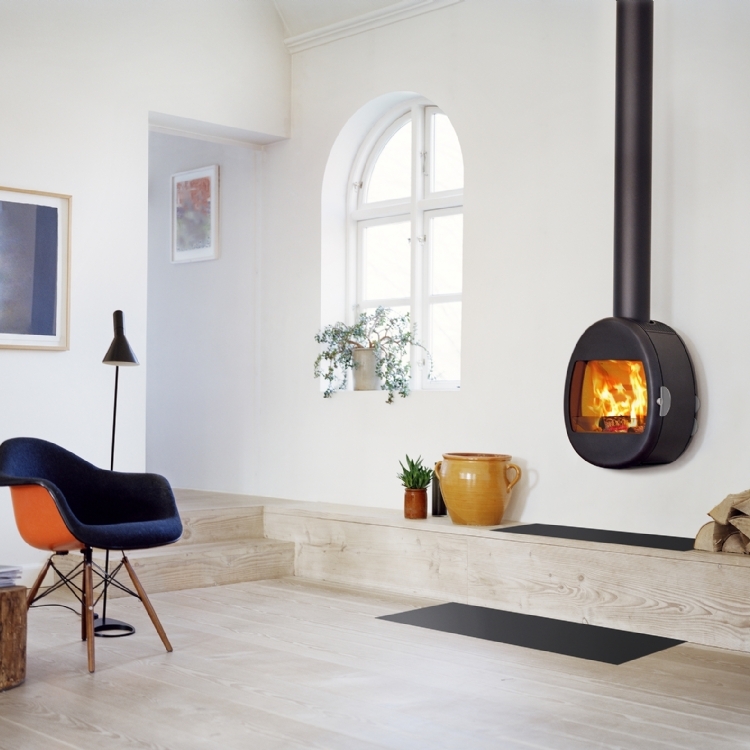 The hearth, honed slate, was made to order to fit the corner and the stove perfectly. 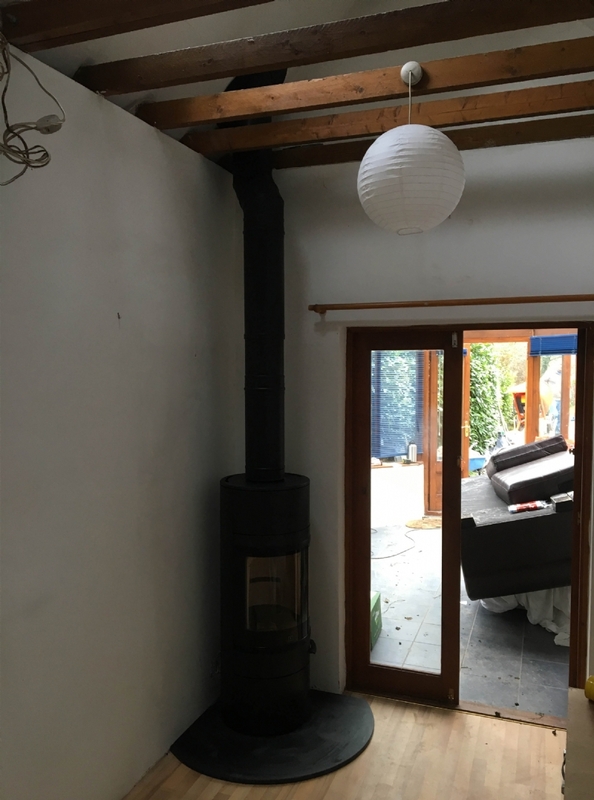 A twin wall flue was fitted from the stove through the house creating a chimney.